Photography has the power to motivate people, make them both sad and happy. The power of still photography is too strong to ignore. From the birth of photography, people has taken photos which has changed the course of history. These photos represents emotions and a great story. Photography is one of the most powerful tool represent history. Here is a list of some of the greatest photographs in history and every one of them has a long history behind them. That is the beauty of photography. It tells a long story without saying a single word. 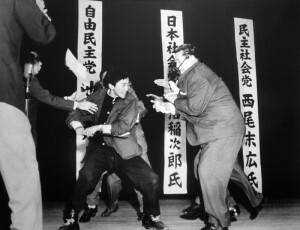 A photograph was taken just at the moment of killing Japan’s socialist party leader Asanuma. It has become a history since then. The capture was perfect in every sense, just seconds before the murder happened. The leader was stabbed with a sharp object and died instantly. Taking great photograph is all about being at the right place at the exact time. Photograph Nagao was fortunate to be there to capture an extremist killing Japan’s socialist party leader. This photograph was awarded many prizes including Pulitzer which is considered highest honor in photography. It is one of the most iconic photograph in the history of Japan. One perfectly time photograph has the ability to speak a thousands word. You may speak a lot about a certain topic but a single photograph has the power to motivate people more than your word. So the next photograph is called the power of one. Where a single middle aged women showed the world that you just courage to represent resistance. Pulitzer prize was also awarded to this photograph. You will see a Jewish women holding Israelis solders from entering the territory of west bank. One women against a hundreds soldiers with weapon, and the photo was taken right at that time. Black and white photography has a power of its own. 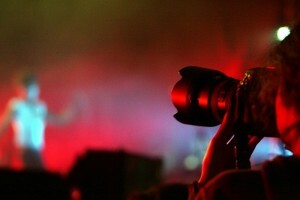 May be its about the color of the photography which can capture human emotion. Stanley Foreman was the photographer of this historic photo. It won a Pulitzer prize in 1976 in news photography section. This photographs shows a women an her child jumping of a high building during the fire to save their lives. The camera was motorized and the capture was taken at just about the right time. This photo represents a powerful message and after it was published, US goverment took a new fire escape policy. The second world war was full of different historic moments. Many great photos of history was taken during that war. Those photographs showed the true horror of war and destruction. The last Jew Vinnitsa is one of those powerful photographs which portrays the torture Jews people had to face during world war 2. It was from a personal album of a German soldier. 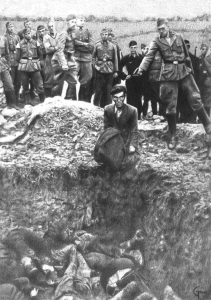 Which shows the last Jew of Vinnitsa was about to be executed publicly. Around 28000 Jews were killed during that time in that region. 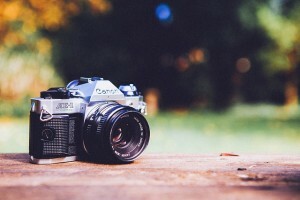 You don’t need a premium quality digital camera to learn the basics of photography. There is no need to waste money behind a high quality digital camera if want to learn beginning lessons. You must belie that a camera is not the only equipment which is can capture an amazing photograph. There are so many things behind a stunning photograph. There are many expensive cameras in the market with rich features, but remember at the end of the day a single photograph is what matters most. So stop worrying about your camera quality and focus on learning. There is no point of taking photograph without adjusting the right mode for it. The scene mode which is available in most digital cameras is perfect for taking simple captures. But if you want to take your photography to the next level, there are other adjustable modes for taking photograph. The AP setting is very important for taking photographs. You can adjust those apertures to take landscape, portrait or micro photos. Also adjust the shutter speed and program mode before taking a photograph. Learning about manual settings is very important when you want to take a photograph according to your need. But auto settings are also very useful for taking good quality photograph. Manual settings allow you to get as much control of the camera as possible. But relying too much on manual setting something leads to a mess. The auto adjustment of modern cameras is very smart and you can rely on those settings. The auto focus option of modern digital cameras is usually faster than manual focus. So you can try the auto settings of the camera before taking a photograph. The lighting is very important for any kind of photography. You have to wait for the right amount of light before taking the photograph. The task can be a bit tiring, but there is no shortcut of taking a stunning capture. You must have patience for the right amount of light before clicking for the actual photo. The light will decide the quality of the photography and the details. You can also experiment with different lighting options to get the right idea about lighting. So above are some tips you can follow to start your photography carrier. There wouldn’t be any photograph without the camera, it the primary gear for you. You need a good quality camera for professional photography. The task of taking good photograph gets a lot easier if the camera is of premium quality. There are many different types of camera available for the photographer. The debate is still ongoing about which one is the right for photographer. As you beginners you are more likely to have a small budget for your first professional camera. 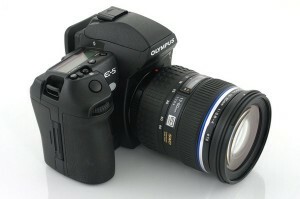 There are many different types of entry level DSLR cameras available in the market. 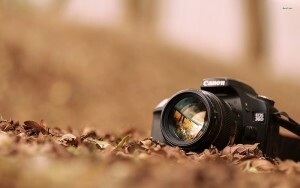 Try to find a Mirror-less camera, those are more suitable for beginners. The next gear you need is the lens. A camera without a good quality lens is of no use. Lens performs the important duty while taking a photograph. There are lenses which come free with the camera kit. Those can be used for taking good quality photograph, but adding an extra lens is always good for you camera. 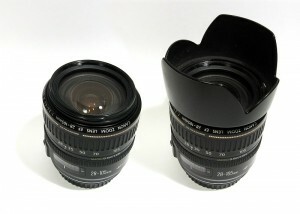 Prime lens are the most suitable ones for beginners. You also have to keep your budget in mind. Professional lens are very costly for beginners. A 35mm lens with a new DSLR should be enough for you to get going. Why fall behind when you want to take photography seriously? Buy a tripod to capture those perfect moment without shaking the camera. A tripod is an essential gear for professional photographers. The task of a tripod is often not valued that much, but pro photographers know its importance. As you beginner you need to buy a good quality tripod which will last long. Don’t go for a home made thing which is built of three sticks. Buy a good quality aluminum tripod to get of to a right start. Now a days taking a photograph is half the work done. You need to edit that raw picture to find the best thing out of thing. Two of the most used software for photo editing are lightroom and Capture One. The task of both these software is similar. You have to buy these software to get the full feature pack. But once you buy those, you will know why these software cost so much. Above are some tools you need to take your photography carrier to the next level. The art of capturing photos in the street is not an easy one. People are always moving fast on the street so it takes a lot of skill to capture those fast moments. However there are some tips you can follow to improve your photography skill. The secret behind photography is not all about practice, sometimes you need to know what should be done. All pro photographers holds some secrets which they are not likely to disclose to you. These are some tips you should follow to make yourself a pro photographer. It takes a lot of effort to find a perfect moment to capture. You may stroll all around the city all day still couldn’t find a perfect moment. So be open minded about you are searching for the scene to capture. It is very hard to walk around all day still take some ordinary photo. So you have to utilize what you have close to you. There are literally hundreds of interesting things happening in the street which you have not paid attention to. The power of observation is very important. You need to have a photographer eye to identify the perfect moment. Moving slow is very important in street photography. There is no need to move fast to find the right capture. Understanding the language of people’s eye is a unique skill which you need to develop. It is said that hiding emotion is very difficult, but in street photography finding emotion is very hard task. People try to hide their emotion with maximum effort. But eyes always give it away. No matter how much you try, your eyes will never lie. You need to find those blank eyes to capture. The emotions how average people is very important for street photography. Capturing too many objects in a single photograph is never a good idea. You need to focus on a primary item. Too many things may fit in a single capture, but the focus of that photograph will be lost. Too many street photographs holds too many objects, making it hard to focus on a single thing. So the best thing to do is to focus on a single object. The little things often make the big capture. If you look closely you will find hundreds of details in a single object. You just need to observe really closely. Street photography is not all about having people in the frame. The photography can be done without people. It is true that, street photography is mainly about the people of street, but it is not necessary to have them physically. You can capture some epic moments without having people in the shot. There are many opportunities for you. Above are some basic secrets of street photography. There are many more like shooting at night not using natural light. The art of photography is not that difficult to develop. You just need to focus to the right moment to capture.